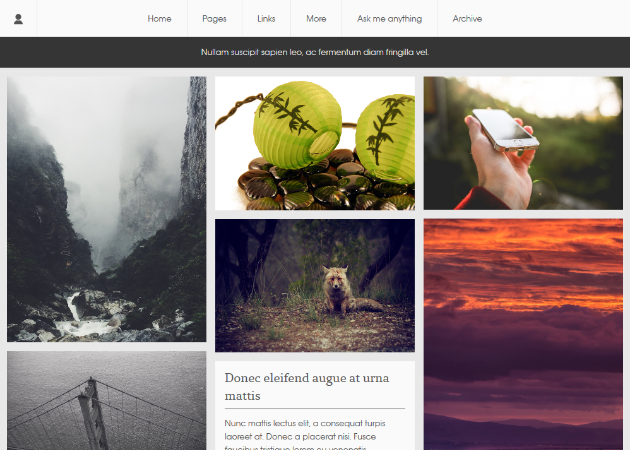 Elise is responsive theme for Tumblr blog with four different posts layouts to choose from. 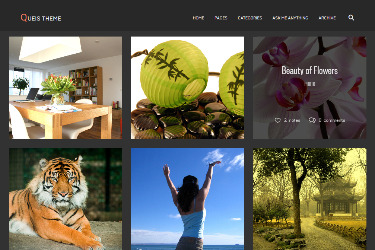 By default posts are arranged in masonry layout but you can change it to grid, one column or two columns. 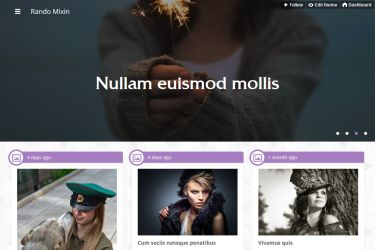 Elise theme supports all post types: text post, picture post (including photo sets and panorama), quote post, link post, chat post, video post, audio post. Changelog is available on documentation page. Only technical support, I don't make custom modifications for my themes. 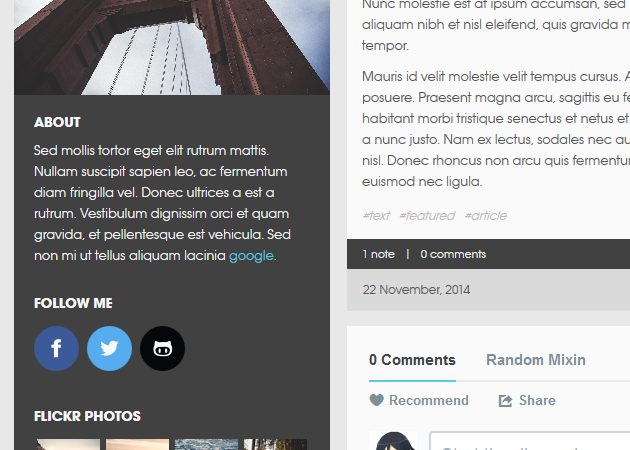 Grid Tumblr theme with categories filter.